AWD. 2019 Volkswagen Tiguan White S 21/29 City/Highway MPG We do things different at Auffenberg. Every vehicle is priced to sell and the price you’ll pay. There are no additional destination fees or hidden add-ons. You asked for a simpler way to buy a car, and we listened. Paying cash, this is your price. Financing the vehicle at standard rates? This is your price. Do you have a trade? This is your price. Don’t have a trade? Still your price. Call any other area dealer and see if any sales employee can guarantee all of those things for you. If they can’t, why buy there? 3rd Row Seat, Backup Camera, Bluetooth, Hands-Free, Tiguan 2.0T SE 4Motion, AWD, 3rd Row Seat Package, ABS brakes, Alloy wheels, AM/FM radio: SiriusXM, Blind spot sensor: Blind Spot Monitor warning, Electronic Stability Control, Exterior Parking Camera Rear, Heated Front Comfort Seats, Perforated V-Tex Leatherette Seating Surfaces, Power driver seat, Radio: Composition Media AM/FM/HD, Security system, Speed control, Traction control. 2019 Volkswagen Tiguan Platinum Gray Metallic 2.0T SE 21/29 City/Highway MPG We do things different at Auffenberg. Every vehicle is priced to sell and the price you’ll pay. There are no additional destination fees or hidden add-ons. You asked for a simpler way to buy a car, and we listened. Paying cash, this is your price. Financing the vehicle at standard rates? This is your price. Do you have a trade? This is your price. Don’t have a trade? Still your price. Call any other area dealer and see if any sales employee can guarantee all of those things for you. If they can’t, why buy there? 2019 Volkswagen Tiguan Platinum Gray SEL 22/29 City/Highway MPG We do things different at Auffenberg. Every vehicle is priced to sell and the price you’ll pay. There are no additional destination fees or hidden add-ons. You asked for a simpler way to buy a car, and we listened. Paying cash, this is your price. Financing the vehicle at standard rates? This is your price. Do you have a trade? This is your price. Don’t have a trade? Still your price. Call any other area dealer and see if any sales employee can guarantee all of those things for you. If they can’t, why buy there? 3rd Row Seat, Backup Camera, Bluetooth, Hands-Free, Tiguan SEL, FWD, 3rd row seats: bench, ABS brakes, Alloy wheels, AM/FM radio: SiriusXM, Blind spot sensor: Blind Spot Monitor warning, Distance-Pacing Cruise Control, Exterior Parking Camera Rear, Heated Front Comfort Seats, Navigation System, Perforated V-Tex Leatherette Seating Surfaces, Power driver seat, Power Liftgate, Power moonroof, Radio: Discover Media AM/FM/HD, Security system, Traction control. 2019 Volkswagen Tiguan Pure White SEL 22/29 City/Highway MPG We do things different at Auffenberg. Every vehicle is priced to sell and the price you’ll pay. There are no additional destination fees or hidden add-ons. You asked for a simpler way to buy a car, and we listened. Paying cash, this is your price. Financing the vehicle at standard rates? This is your price. Do you have a trade? This is your price. Don’t have a trade? Still your price. Call any other area dealer and see if any sales employee can guarantee all of those things for you. If they can’t, why buy there? Backup Camera, Bluetooth, Hands-Free, Tiguan SEL 4Motion, AWD, ABS brakes, Alloy wheels, AM/FM radio: SiriusXM, Blind spot sensor: Blind Spot Monitor warning, Distance-Pacing Cruise Control, Electronic Stability Control, Exterior Parking Camera Rear, Heated Front Comfort Seats, Navigation System, Perforated V-Tex Leatherette Seating Surfaces, Power Liftgate, Power moonroof, Radio: Discover Media AM/FM/HD, Security system, Traction control. 2019 Volkswagen Tiguan Pure White SEL 21/29 City/Highway MPG We do things different at Auffenberg. Every vehicle is priced to sell and the price you’ll pay. There are no additional destination fees or hidden add-ons. You asked for a simpler way to buy a car, and we listened. Paying cash, this is your price. Financing the vehicle at standard rates? This is your price. Do you have a trade? This is your price. Don’t have a trade? Still your price. Call any other area dealer and see if any sales employee can guarantee all of those things for you. If they can’t, why buy there? We appreciate your interest in our inventory, and apologize we do not have model details displaying on the website at this time. Please fill the form out below and our team will quickly respond, or, please call us at (618)-622-4609 for more information. 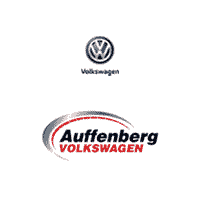 At Auffenberg Volkswagen, we’re committed to providing you with all the resources you need to find, buy, and maintain your new Volkswagen Tiguan so that your Madison life is hassle-free. It’s part of the Auffenberg Honesty Policy. Contact us online or visit our showroom in O'Fallon, IL, not far from Caseyville, to explore the new Volkswagen Tiguan in person.